The 3s, I go back to my Athlete’s Foot story. I was the kid who got a job at Athlete’s Foot so I could meet the Nike reps so I could find out when the new releases were coming up. 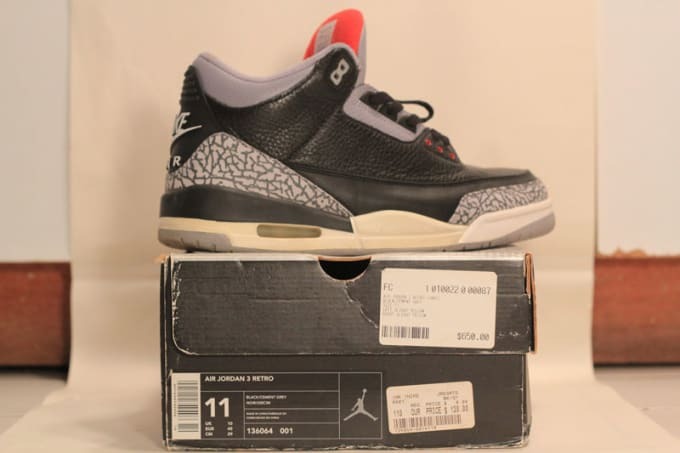 And the Jordan 3s — actually, not the black/cements, the black/cements were just my favorite colorway, but the Fire Reds, the original Fire Reds, were the first and only sneaker I ever stole. To the guy who got fired, my bad.